Please go to the ballet below and cast your vote. Nominate your favorite for 2017 and let the public decide. Please nominate next year's candidate at the contact us form below. ​Dr. 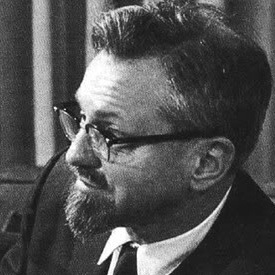 Joseph Allen Hynek Dr. Josef Allen Hynek was an American astronomer and ufologist most famous for his research on UFOs (unidentified flying objects). He had served as scientific adviser to the UFO studies which were undertaken by the U.S. Air Force after which he became involved in his own independent study of the UFOs. Eventually he developed a system of describing UFO sightings into six categories based on factors like distance of sighting, appearances, and special features. This system, known as the Close Encounter classification system, established him as one of the foremost authorities on this subject. Hynek had developed an early interest in astronomy after his mother read to him a book on the subject when he was a little boy. He was also intrigued by the mysteries of the world and developed an interest in occult. In fact as a teenager he spent a massive amount of money in buying a book on occult while his friends preferred to buy motorcycles! The curious young man ventured into astronomy in an attempt to reveal the weaknesses of science. Initially a skeptic, he eventually acknowledged the fact that astronomers do sight UFOs and immersed himself in research to unlock the mystery of the UFOs. He became interested with the paranormal and ufology as a child and joined the UFO organization NICAP as a teenager. He attended the University of Detroit, spending two years in the pre-dental program before switching his major to Communications. He graduated with a bachelor's degree in 1972. Noory served nine years in the United States Naval Reserve as a Lieutenant. In December 2012, Gaiam TV launched Beyond Belief with George Noory, a subscription-based webcast exploring the unknown and mysteries of the universe. The one-hour, weekly series features Noory taped in front of a live audience at Gaiam studios in Boulder, Colo., Beyond Belief with George Noory is available exclusively on Gaiam TV. Blake Cousins has been investigating UFOs for over 10 years and has interviewed over 100 eyewitness in regards to UFO close encounters. With the advent of the internet and mobile phones, documenting and sharing UFOs encounters world is now possible on a daily basis. Thirdphaseofmoon is on the forefront of sharing Premiere Videos & Breaking Exclusive footage to the world! Blake Cousins and The Thirdphaseofmoon team Look Forward to viewing your Videos for possible inclusion on our YouTube channel Thirdphaseofmoon. Just think – if it’s good enough your UFO video could be seen bymillions of people on Thirdphaseofmoon! As seen On National Geographic, SYFY Channel, Asahi Japan TV, and the Travel Channel! With over 230 million views world wide via tv and internet, Thirdphaseofmoon is the place to be to Watch, Post, and Comment, in regards to the UFO Phenomenon From Around The World! Linda has written four books: An Alien Harvest which investigates the worldwide animal mutilation phenomenon and Glimpses of Other Realities, Volumes I and IIwhich concern U.S. military, intelligence and civilian testimonies about other forces that interact with earth life. Her fourth book, Mysterious Lights and Crop Circles, was updated in a 2nd Edition with expanded 2001 content and released in July 2002. It is an investigative report about scientific research of unusual formations in cereal crops and grasses around the world and videotapes, photographs and eyewitness descriptions of mysterious small lights associated with the enigmatic crop formations. In 1958, Billy Meier predicted the Iraq Wars, AIDS and global warming. This farmer from Switzerland has taken hundreds of the most startling photos in UFO History and has even filmed what he refers to as “Beam Ships” used by sentient beings that hail from a star system near the Pleiades. He has been able to produce photographs, film footage, sound recordings and even metal samples as evidence of his visitations. Meier’s life story is an enigmatic journey that ultimately culminates with him becoming the messenger for an advanced race of beings known as the Plejaran. Their message is clear: earth is in trouble, the people have been asleep, and we must make drastic changes or there will be devastating consequences for all of mankind. 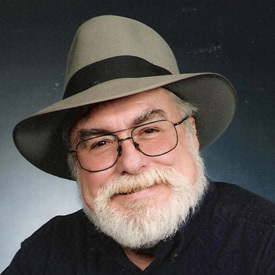 -William “Bill” J. Birnes: Publisher of the nationally distributed “UFO Magazine,” editor of The UFO Encyclopedia published by Pocket Books, and has added to his list of publications in the UFO/Paranormal field, which include: The Day After Roswell and Unsolved UFO. William “Bill” Birnes hit TV show, UFO Hunters has dug up information where none have been before. We plan seeing many more future episodes of the UFO Hunters for years to come. - In 1964, Hopkins and two others saw a UFO in daylight for several minutes. Fascinated, he joined UFO research group NICAP. The 1992 film Intruders was based on Hopkins ' research, and portrayed abduction scenes. Additionally, Hopkin's 1996 novel, "Witnessed," portrays a classic abduction case that occurred in late 1989 near the Brooklyn Bridge in New York City . This case is unique in that it is one of the first publicized episodes that involved multiple abductees (who did not previously know each other) that come to know each other in the "real" world through a variety of circumstances connected to their abductions. Additionally, this case involved inter-generational abductions within the same family. - received BS and MS degrees in physics from the University of Chicago in 1955 and1956. He was employed for 14 years as a nuclear physicist for such companies as GE, GM, Westinghouse, TRW Systems, Aerojet General Nucleonics, and McDonnell Douglas on such advanced, classified, eventually cancelled, projects as nuclear aircraft, fission and fusion rockets, and nuclear powerplants for space. Since 1967 he has lectured on the topic "Flying Saucers ARE Real!" at more than 600 colleges and over 100 professional groups in 50 states, 9 provinces, 16 other countries. He has published more than 80 UFO papers and appeared on hundreds of radio and TV programs. He is the original civilian investigator of the Roswell Incident and co-authored "Crash at Corona: The Definitive Study of the Roswell Incident." TOP SECRET/MAJIC, his explosive book about the Majestic 12 group established in 1947 to deal with crashed saucers, was published in 1996 and went through 6 printings. The 2nd edition with a new 5000-word afterword was published in September 2005 and is in its 2nd printing. Stan was presented with a Lifetime Achievement Award in Leeds, England, in September, 2002, by UFO Magazine of the UK. A documentary "Stanton T. Friedman IS Real" was broadcast in Canada in 2002. 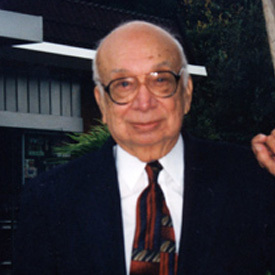 He has provided written testimony to Congressional Hearings, appeared twice at the UN, and been a pioneer in many aspects of Ufology including Roswell, Majestic 12, the Betty Hill-Marjorie Fish star map work; analysis of the Delphos, Kansas, physical trace case; crashed saucers, flying saucer technology and challenges to the S.E.T.I. (Silly Effort to Investigate) cultists. Stanton Friedman takes a clear-cut unambiguous stand that SOME UFOs are alien spacecraft, that the subject of flying saucers represents a Cosmic Watergate, that none of the anti-UFO arguments made by a variety of noisy negativists stand up to careful scrutiny, and that we are dealing with the biggest story of the past millennium: visits to Planet Earth by alien spacecraft and the successful coverup by governments of the best data: alien wreckage and bodies recovered in New Mexico, for 59 years. He has spent many weeks at a total of 20 document archives. Stan has successfully taken on many critics of flying saucers, Roswell, Majestic 12, including winning a debate at Oxford. Steven M. Greer (June 28, 1955) is an American physician, UFO enthusiast and researcher, andconspiracy theorist. Greer is the founder of the Disclosure Project, The Orion Project, and the Advanced Energy Research Organization (AERO). The latter aims to reproduce claimed free energydevices Greer says were produced in secret government projects. Greer's latest endeavor is the formation of The Orion Project (launched in March 2008), a non-profit, 501-C3 entity. The project's stated mission is to inform, educate, and help supply the people of earth with sustainable, non-polluting power. The Orion Project claims to be in the process of identifying and supporting the development of new, clean energy technologies. Greer has appeared on shows such as Larry King Live, CBS, BBC, NTV in Japan, Sightings,Encounters, Coast to Coast AM, and the Armstrong Williams radio show. Greer hosts a regularly scheduled radio program (Conversations with Dr. Steven Greer) on the World Puja internet radio network, covering topics such as the development of non-fossil-fuel technologies, meditation and consciousness studies, and the evidence and implications of extraterrestrial contact. Greer is also a claimed contactee, and coined the term "close encounter of the fifth kind" (a.k.a. CE5) to describe human initiated contact with extraterrestrials. CE5 encounters are "characterized by mutual, bilateral communication rather than unilateral contact." Greer is a former chairman of the Department of Emergency Medicine at Caldwell Memorial Hospital in Lenoir, North Carolina, and a lifetime member of the Alpha Omega Alpha Honor Medical Society. He and his wife Emily have four daughters and reside in theCharlottesville, Virginia area. Maxwell was born in Pensacola, Florida, U.S.A.. He claims to have witnessed paranormal experiences since the age of 7 or 8. At age 19 he moved to Los Angeles, California with little money and no idea what he was going to do. Maxwell has stated that he was fascinated with hidden knowledge since childhood, but the true genesis of his life's work began upon meeting a man in California named Bob Ferney. Ferney gave Maxwell a book entitled "The Complete Works of Charles Fort". Maxwell soon began researching secret societies and subversive movements, and the hidden significance of UFO's and the paranormal. As a child, Maxwell’s maternal great-uncle was employed in the Vatican Secretary of State’s office as a civilian, and young Jordan was enthralled by the behind-the-scenes tales of religion and politics he would tell when visiting. He served for three and a half years as the Religion Editor of Truth Seeker Magazine, America's oldest free-thought journal since 1873. His research led to the publication of his nonfiction book "Matrix of Power: How the World Has Been Controlled by Powerful People Without Your Knowledge" in the year 2000. Jordan Maxwell aka Russell Pine (28 December 1940) is a researcher and independent scholar in the fields of astro-theology, religion,secret societies, and the occult, with a focus on the foundations for modern-day religion and government. He began his work in 1959 and has produced numerous video lectures and documentaries on these subjects. He has been described by peers and fans alike as "the preeminent researcher and scholar in the field of occult/religious philosophy", although Maxwell prefers to refer to himself simply as "an ordinary man pursuing extraordinary knowledge". Wendell C. Stevens was born in 1923. He was assigned to duty in the Army Air Force, in 1942. He was accepted for Aviation Cadet Training the same year and graduated from Fighter Pilot Advanced Training in 1943 as a very young 2nd lieutenant in the then U.S. Army Air Corps. After that he attended the first Air Corps Flight Test Pilot School at Kelly Field where he learned to fly all the aircraft in the Air Corps inventory at that time, and a few U.S. Navy Aircraft. He was assigned as the first commander of the First ARU Floating, an aircraft, maintenance squadron. This continued until the war ended in 1945. After the war ended Stevens was reassigned back to the Flight Test Division. He continued in this capacity until the summer of 1947 when he was rotated to Alaska, where he supervised a special highly classified team of technical specialists who were installing hi-tech data collecting equipment. 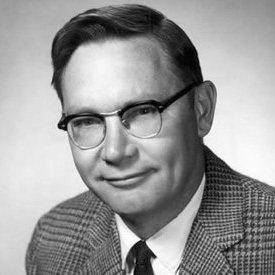 Stevens began his own personal research and collection effort. He has the largest collection of UFO photographs in the world, over 3,000 of them. He began to publish reports on the photographic events in his collection, and wrote illustrated UFO articles for four domestic and live foreign UFO magazines. Becoming disenchanted with the dearth of detail on contact events reported in contemporary books and journals of the time, about 10 years ago. Stevens began preparing detailed reports of his own investigations of extensive and on-going UFO contact cases that came to his attention. These reports often ran to over 200 pages and some to over 600 pages, in length and were published in heavily illustrated permanent hard cover library style bindings. Stevens retired from the U.S. Air Force for time served on active duty, in October of 1963, and has pursued his UFO interests continuously since then. He retired as a Regular Air Force Lieutenant Colonel, which grade he still holds in retirement. Major Jesse Marcel, who, in July 1947, was the air intelligence officer of the 509th Bomb Group at the Roswell Army Air Field. It was Marcel who told the world that he had picked up pieces of a flying saucer while he was stationed there. Strange metallic debris scattered over a large area. Metal that was thin and tough, that resisted repeated blows from a sledgehammer, thin foil-like material that wouldn’t burn, and slender I-beams, not much larger than the supports of a kite but that couldn’t be broken. Marcel’s conclusion was that he had found something that came to Earth but that had not been built on Earth. In other words, he thought it was something of extraterrestrial manufacture. Sharing his 1947 find with his family who has verified his story over the years. Marcel took way too much heat for his report of the Brazel discovery. Without question, the Roswell incident is the most important UFO crash landing ever and Marcel was the key figure. We are honored to have Jesse Marcel Sr. as one of UFO Headquarters Hall of Fame Enshrinee's. 2004 UFO Headquarters Hall of Fame Enshrinee' - "Our first Hall of Famer"
Erich von DanikenAs indicated on his website www.daniken.com, Erich was born on April 14th, 1935, in Zofingen, Switzerland, Erich von Däniken was educated at the College St-Michel in Fribourg, where already as a student he occupied his time with the study of the ancient holy writings. While managing director of a Swiss 5-Star Hotel, he wrote his first book, Chariots of the Gods, which was an immediate bestseller in the United States, Germany, and later in 38 other countries. In the United States, Erich von Däniken won instant fame as a result of the television special "In Search of Ancient Astronauts," based upon his first book. In 1993, the German television station SAT-1 started a twenty-five part TV series with and by Erich von Däniken, entitled "Auf den Spuren der All-Mächtigen" (Pathways of the Gods). In 1996, the American TV company ABC/Kane produced a one-hour special, filmed all over the world, entitled Chariots of the Gods - The Mysteries Continue. This film was broadcast on the ABC network on September 26th 1996. In 1996/97 ABC/Kane produced another documentary with Erich von Däniken (seen on the Discovery Channel). In Germany, the biggest TV network, RTL, showed the film on November 26th, 1996. 7,7 million viewers in Germany alone watched the program. Today, Erich von Däniken continues his filming with ABC and RTL. Erich von Däniken's latest book just translated and now published is: Twilight of the Gods: The Mayan Calendar and the Return of the Extraterrestrials. In this book Erich von Däniken meticulously investigates the mysteries surrounding the Mayan calendar, its amazing connection to the Ancient Astronaut Theory, and tantalizing information on the extraterrestrials prophetic return to Earth. In late 2011 von Däniken's Odyssey of the Gods will also be re-released with new information on the history of the Greeks and possible locations to Atlantis. An overview on all publications of Erich von Däniken including a link to the Swiss Natrial Library collecting all translation is listed on the bibliography page. Erich von Däniken's publications are available from legendarytimesbooks.com, the online bookstore of his international research association A.A.S. R.A. / legendarytimes.com. Airing of ANCIENT ALIENS has placed Erich back in the spot light, we wish Erich a very long life and continous documentation of his works. UFO Headquarters Hall of Fame 2016. Voting Please let us know who deserves on our list for 2017.